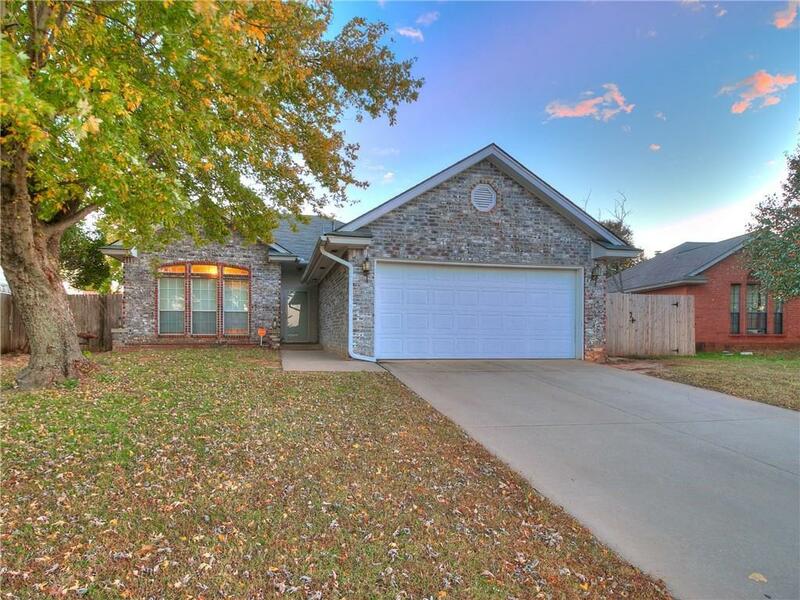 Take a look at this SUPER CUTE HOME located in the highly sought after Moore School District! This home is in the perfect location, close to shopping, I-35 and I-240. This 3 bedroom, 2 bath home features an open living and dining area with lots of natural light, new appliances in the kitchen, a master suite with his and hers closets, along with a large covered patio! Schedule your private showing today!